I tested the link twice just before making this post and it was still giving Silver status. Unfortunately it is no longer giving any elite status. Whether you register an existing account or open a new account via the link above you will get Silver status. Why do you want Silver status if you don’t fly Virgin Atlantic? 1. You can flash the card to access elite/first class security lines at most airports. 2. Delta will offer benefits like free bags to Virgin elites in the future though that reciprocity is not set up yet. 3. DDF member travel247 reported that he was able to take a screenshot of his status and then status match challenge his brand new Virgin account to United Silver status and it was approved in just a few hours. For 90 days you will get United Silver elite status. Note that you can only do 1 such match every 5 years. 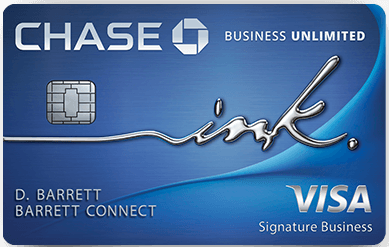 Now most of the Silver benefits you get if you have a United Explorer card such as a free checked bag, greatly expanded saver coach award availability, and last seat standard award availability. -Free economy plus seating for you and 1 companion at online checkin. -500 mile minimum earnings per paid United (and select partner) segment. -Instant upgrades on full-fare economy tickets. 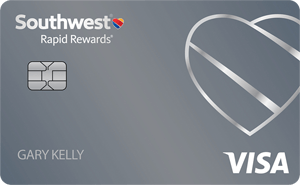 -25% bonus miles on paid United (and select partner) flights. -Reduced award expedite/close-in fee, award change fee, and award redeposit fee. If you fly 7,000 miles or 8 United flight segments (or less on full fare, business, or first class tickets) within those 90 days (but after 07/01/13) then your Silver status won’t expire until 01/31/15. -Your MileagePlus account number. If you are not already a member, join today. -A copy of your most recent mileage summary or 2013 membership card that clearly identifies your current elite level in the frequent flyer program you are matching from. -Please allow 7-14 business days for processing after receipt of your request. 4. 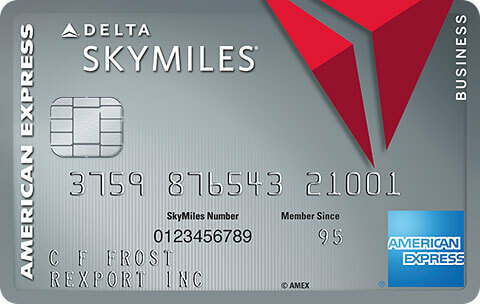 You can then status match challenge your United Silver status to Delta Silver status for 90 days as well. While their credit card gives free bags and priority boarding having Silver status will at least get you and a companion a preferred seat and onto the first class upgrade list plus 25% bonus miles on paid flights. 5. American offers a status match challenge but they charge a fee to enroll. Call them at 800-882-8880 for more info. 6. Alaska offers a status match as well. You can email them to request it at mileage.plan@alaskaair.com be sure to send proof of your elite status and Alaska mileage number. Alaska elites get 2 free bags when they fly Alaska or American and a free bag when they fly Delta. They also get free space available upgrades when flying Alaska or Delta and preferred seating on all 3 carriers. 7. You can match your United status to Virgin America Elavate Silver status through 06/30. HT: Gary, Meir613, and travel247. 62 Comments On "Free Virgin Atlantic Silver Status And Why You Might Want It…"
Will they send me card in the mail? Hey thanks for posting DAN! these status deals are awesome! Welcome! And here’s your unique membership number. 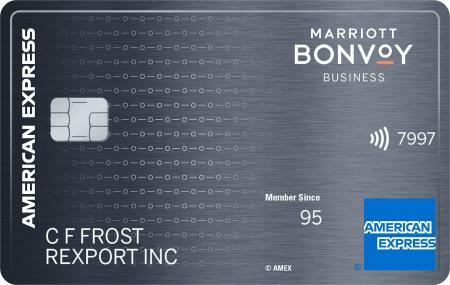 As soon as you take your first Virgin Atlantic, codeshare, or partner flight, or tip miles to your account from one of our financial partners, we’ll send you your membership card. Any way of getting it without having to fly? You can credit a single car rental to Virgin. You get 1,000 miles from Avis for example when you credit any rental to Virgin Atlantic. Or just try calling Virgin and ask them to send it anyway. You don’t need the card to do a status match. PLZ NOTE STATUS VALID UNTIL 2016!!! This is a Sizzling Deal for that long! How does virgin atlantic silver help me if i fly virgin america? I didn’t print the card and now I can’t seem to find it anywhere…any other way to access the lounge? I’m not sure if that’s accurate. The account will EXPIRE in 2016, but the silver status seems to expire June 30, 2014.
ah i see true that..
What does this mean “Delta will offer benefits like free bags to Virgin elites in the future” but not now? How do I send proof of my elite Virgin status (to Alaska Air, for example)? Am I supposed to get a confirmation email after I sign up for the silver status? Going united to Israel on dec. 4 for 3 weeks. can I wait to sign up October 1. Btw, enjoyed your presentation in Chicago . Thanks. Hi, Just registered through the link and got an email confirming I have joined and am a RED member..not silver….????? Any idea how United silver status affects award tickets on other airlines booked through United? How long does it take for it to show up as Silver? I just signed up for a new account through the link and it shows me as Red. I tried loggin out and back in and it didn’t help. Any ideas? I’m flying with Turkish from tlv-jfk on sep. 11 returning oct. 3 does the silver status help me in any way? Dan- what do you mean when you say “but after 7/1/13”? what does ”credit a single car rental to virgin atlantic” mean? How do I do that? And do I have to actually rent the car or can I cancel the reservation after? not a big flyer but opened an account for me and one for my wife. I thought it is a life time upgrade but I guess not. dont see any conformation of silver status upon registration?? how does one see this status on his account, is there anything else to do to see it? Josh – log into your VA account, it should say “silver” on the right (if it says “red”, it didn’t work). Security lines pass? Even if I’m not flying on virgin? Also if I’m Aa gold but flying on a different airlines can I show them that I’m gold and still use the elite line? Even with other family members flying with me? What is American elevate status? I am only seeing Red status.. Wonder if this deal is dead? I have logged out and back in numerous times and still only see Red. Still hoping for the best. Chatting with virgin now, got confirmation when signed w link, but no mention of silver on print, and airline also doesnt know about it. they ask if its signed up thru an employer, what do I tell them dan? they told me they never hear of such an offer, I am still RED status. If I “registered already” does that mean it will take effect soon? @Eli: Still haveing the same problem? I am as well and wondering if anyone has figured it out. I called VA and they have no idea either and never heard of any such promotional upgrade. I also got the red. They also asked about employer. However, there was a code that was able to be entered, and the rep couldnt push through silver without speaking with marketing dept. She is calling me back and I will keep you posted. Well, if this deal wasn’t already dead, @E just sealed the coffin. Any true Dans Dealer should know NEVER to call the airline about such a deal!! Thanks for ruining it for all of us!! Worked for me. Thanks Dan! “You are currently a Flying Club Silver member with 0 miles. I just entered the info and it says: “Thank you for registering for this offer”. Does that mean I received the silver status or its a different offer? Did anyone get silver status after 7:00 AM ? Cahavmish, when did you sign up? If you called and didnt explain what link you used etc., just asked about your status, I dont think you would hurt anyone, cause they have no clue what you are talking about. Now, as to the link, it confirm registration for offer, but did not say which offer, not VA, and not silver. Is it a 3rd party link? is the link a scam to get personal info? anyone who was successful, what did the link confirmation say? United matched within a few hours, now on to matching United with other airlines. I registered for the offer but the account was not upgraded. Called Virgin Atlantic and they say the offer was fraudulent and was only for corporate customers. They will not honor it. I created an account and registered at 3:04AM EDT. Got Silver. I created another account and registered at 3:50AM EDT. No Silver. The confirmation pages were the same. Only difference I could find is any page that shows your account info is either Silver if you got it or Red if you didn’t. I was able to get the VA Silver and then also United and I’m waiting on the other two. This was very helpful as I have a trip coming up with United. Thanks Dan! 6/15 9AM PST Was not upgraded to Silver! Got it Friday around 11AM , just got email from United confirming my match. Thanks Dan! i registered before this expired. -where do i find this? 6/15 9 am – didnt work. who was the last person that it did work for? Will they upgrade me to first class international if I fly united? captain, I think once you got it, its yours to stay. so if i sign up today then i dont get anything ?? Sent status match requests to both Alaska emails but have not received any response in over a week. Does it usually take longer than that? Dan I must thank you for this one! Although I missed the offer I couldn’t let it pass so I reached out to virgin by email explaining I’m a avid traveler looking for a new airline….. Sure enough they called me back we had a nice conversation and with a follow up call I was granted silver status! With in the first 30 trial days ill have done 8 PQSs so thanks again for a great hook up!!! Jon do you have status elsewhere? If you don’t, forget it you aren’t getting silver restored. The offer was targeted and not even meant to be out there anyway. My status also reverted back, any suggestions?